Uniti Atom From Naim: All For One…? 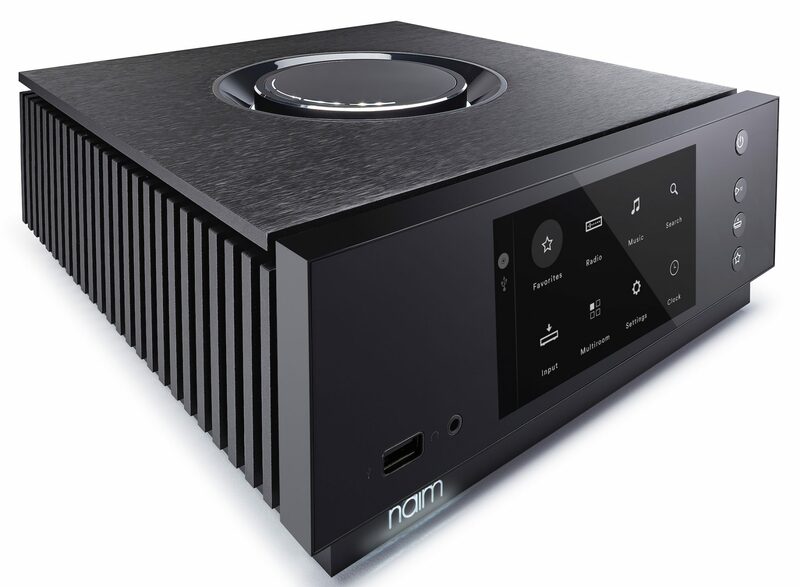 Naim’s earlier array of streamers and all-in-ones – replete with their large chassis forms – were recently replaced with a neater and more approachable design. Here, in this way, the Unit Atom replaces the UnitiQute 2. 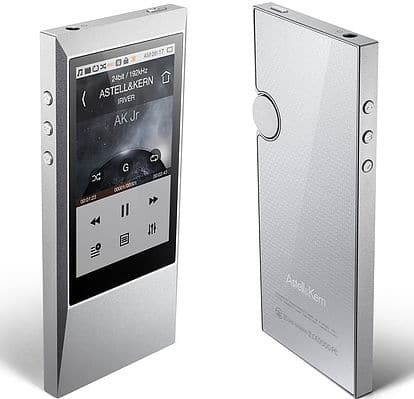 The Uniti Atom itself is a tidy, meaty, hefty, relatively small footprint bundle of fun with enough flashing lights, buttons and gizmos to deserve a permeant installation place in The Chocolate Factory owned by one, William (Bill to his mother) Wonka. I mean to say, who won’t have fun merely turning the dinner plate-sized volume dial (dial? wheel more like) on the top of the chassis and then saying to themselves ever so quietly, “Warp Factor 5 Mr Sulu.” I know I did, until the tablets kicked in. Many will spend minutes turning this dial without playing any music until they snap out of it. Then there’s the colour LCD panel on the front and a nicely sized 127mm screen it is too. It displays a host of information including album art and includes proximity sensors which means that it will ‘wake up’ as you approach it. I have to say that the first thing I did when I saw this presentable screen was touch it and was disappointed to find out that it didn’t respond. The larger the screen, the more justification of making it touch-enabled. I reckon this Naim example should have been such. Next to that is a headphone port (3.5mm, I would have preferred full size socket for this unit) and a USB socket. Here, you can plug in a HD drive and USB stick full of media. 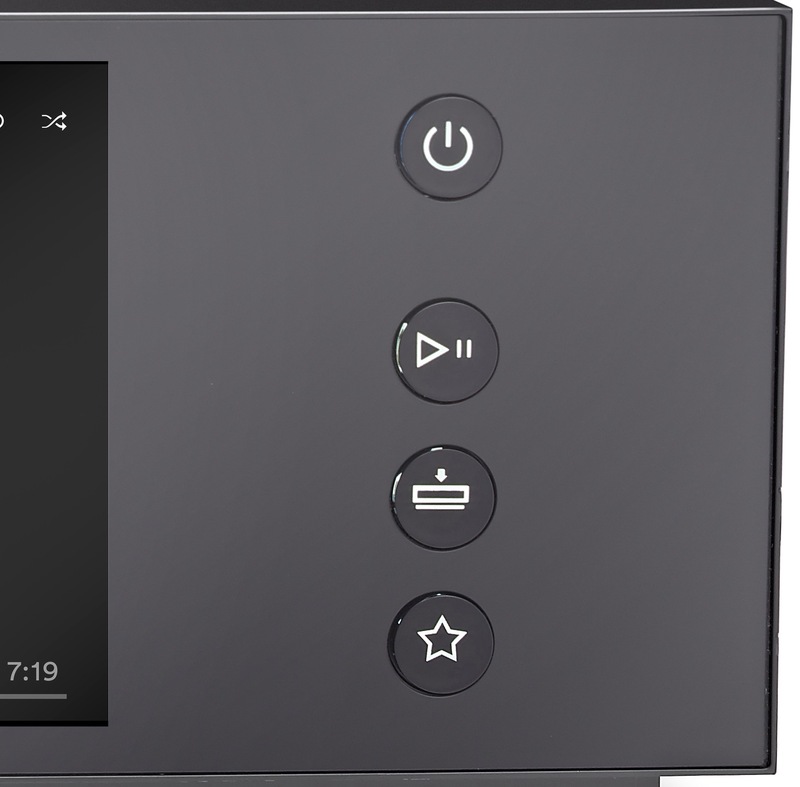 The Naim also supports built-in Google Chromecast (up to 24bit/96kHz from a tablet or phone), Tidal, Spotify Connect and Internet radio plus AirPlay and Bluetooth aptX HD. Generally, PCM supports up to 32bit/384kHz while DSD supports up to DSD128. To stick with DSD128 was a poor decision – DSD256 should have been a base line figure for the Atom, I think the price warrants it. 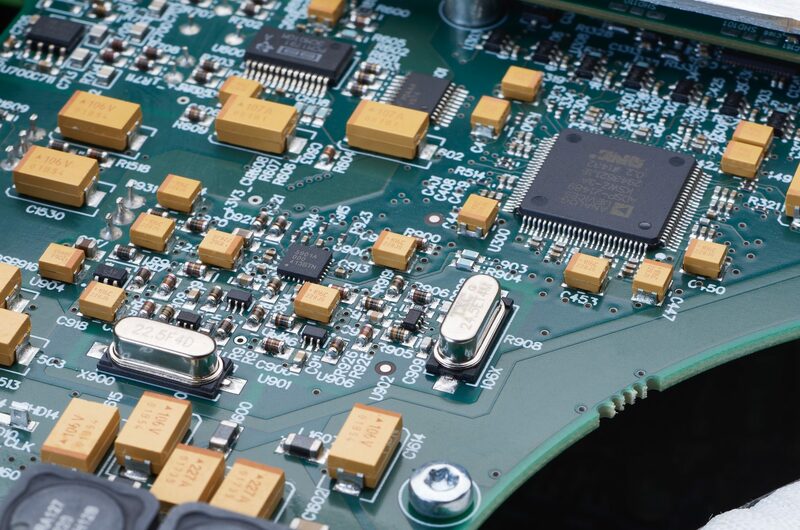 Inside the chassis you’ll find a 40W A/B amplifier that has history. Apparently, it derives form the company’s Nait amplifiers. On the rear is a IEC power cable slot, to enable you to upgrade your own power cable if you wish. Naim does offer a more than capable Powerline Lite cable, though, which will be more than enough for most users. You’ll also find speaker terminals, USB and Ethernet networking socket. Two optical and one coaxial digital inputs sit above pre-amp analogue outputs. There’s also a pair of inputs. Hence, you could, if you wish, plug in a phono amp to support a turntable. 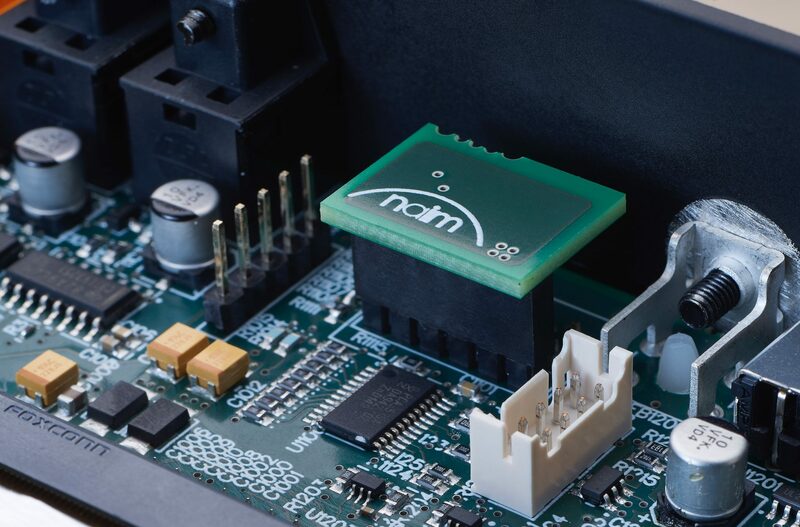 A “galvanically isolated” HDMI socket can be installed by Naim for an extra £100. Control resides with on-unit buttons, a supplied remote – which is nicely designed and fits well with the chassis in terms of the ‘look’ – plus an app. The Unit Atom provides plenty of options. 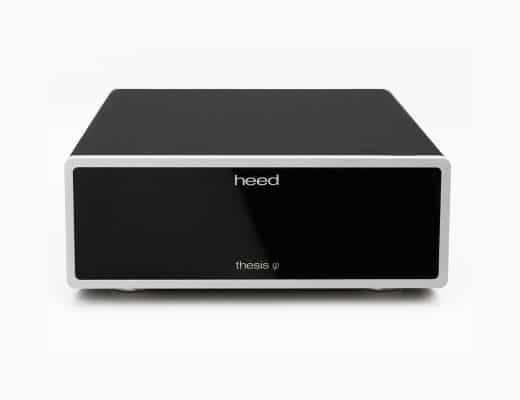 Yes, you can use it as part of a 2 channel system but you can also install it as a hub of a multi-room system, to play music all over the house. 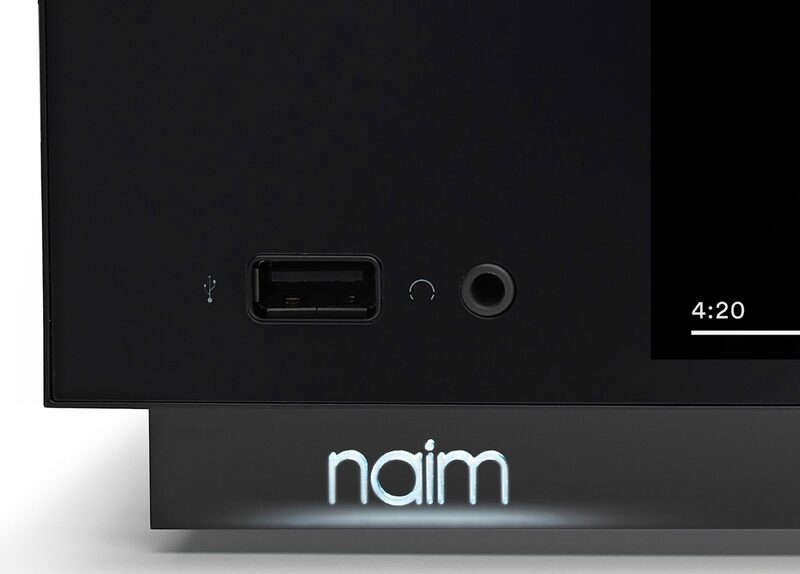 Spanning 95 mm x 245 mm x 265mm, the Naim weighs in at a secure 7kg. I begin with Bob Marley’s I Shot the Sheriff via my Red Wine-modded Astel&Kern AK120, running at 24bit/96kHz. 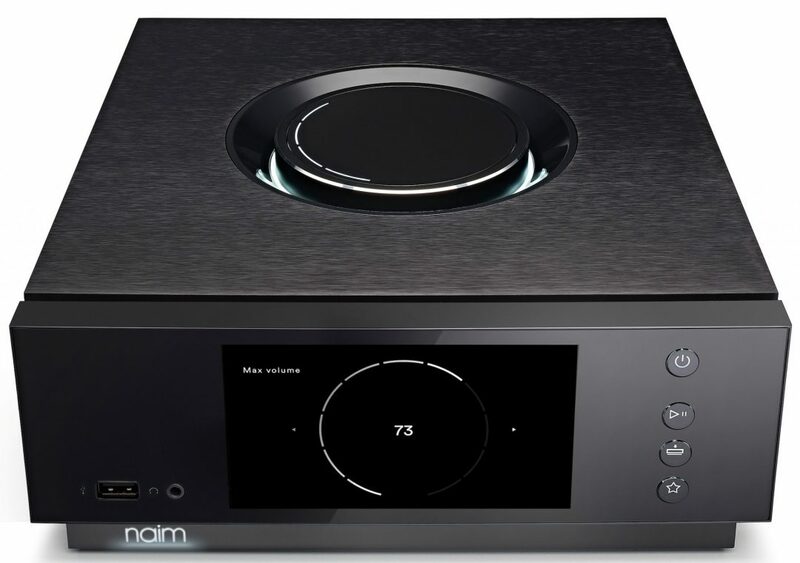 I was impressed by the general sound quality of the Naim which will bother even more expensive ‘proper’ – as it where – separates hi-fi systems. 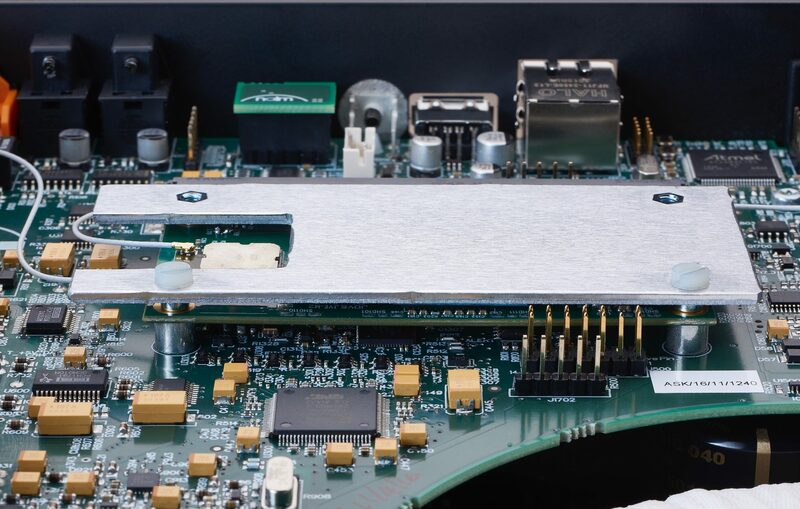 Yes, there is a crisp, solid state-esque, very precise manner to the upper mids but there is also plenty of space and air in this area too which allows the Naim to successfully excavate heaps of detail. 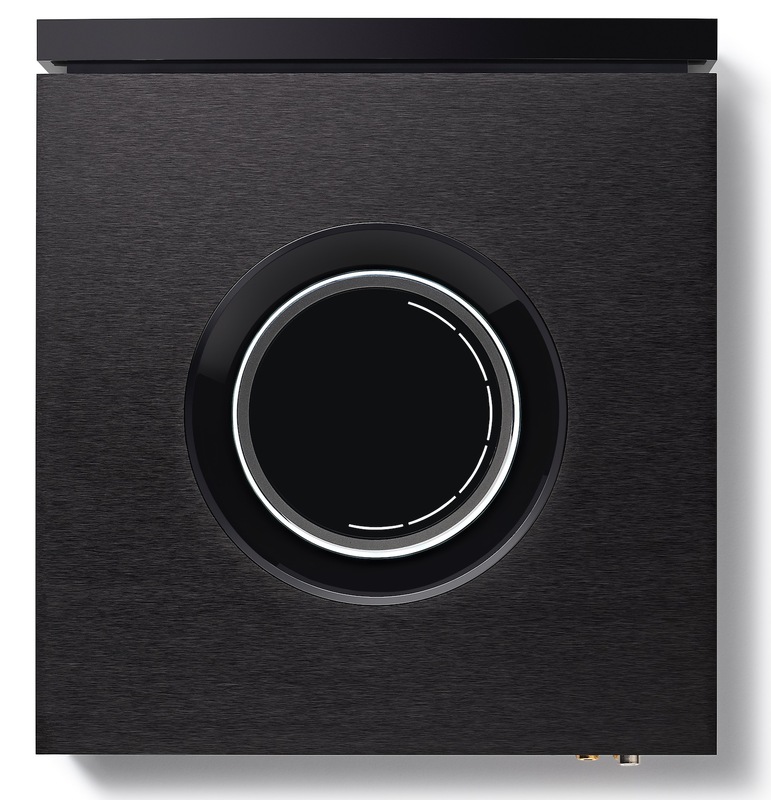 While the Naim might ultimately lack an ultimate push in terms of dynamic extension when compared to much more expensive kit, to point an accusing finger at this stage would be wholly churlish. At this price point, the Naim’s midrange shown here by the vocals (lead and backing), rhythm guitar and parts of the organ, were impressive by their coherence. Bass, meanwhile, was both characterful and focused in its presentation but never suffered from blooming. 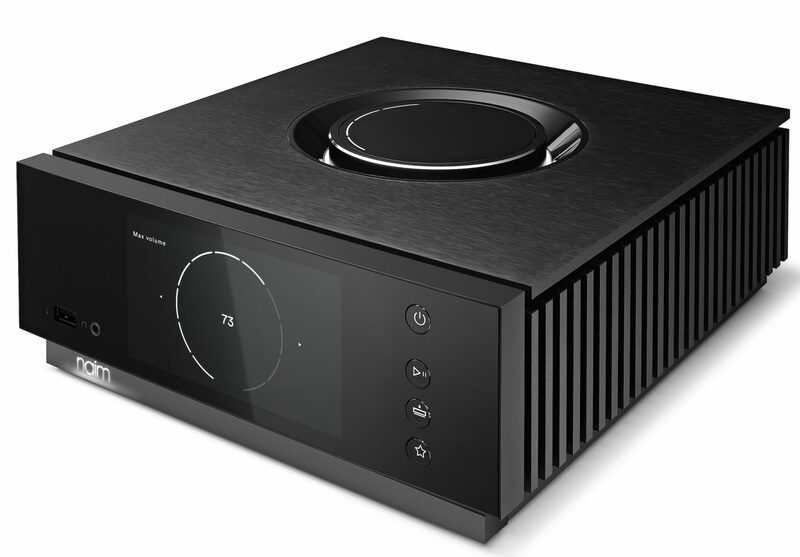 There was a distinct logicality in terms of the lower frequency, the Naim never lost control or wandered around in a confused state, which all-in-one system can produce at times. I then plugged in a USB stick packed with trying musical genres and resolution types. First from this stick was a more dynamic track, Skunk Anansie’s Hedonism at 16bit/44.1kHz, I was impressed by a clean, slightly sparse presentation that sounded efficient and lean, lacking fuss or frippery. This enabled more delicate secondary percussive effects such as the tambourine to be clearly heard while bold noises such as power chords never masked or swamped such sounds. Hence, the music was well ordered and disciplined. I then moved to jazz at 24bit/96kHz and Sonny Rollins’ St Thomas. Again, there was a lean and clean sense to the music. So, if you wanted, you could hear the drive and the force of the sax and the effort placed behind the reed, the musicality of the piano and the firm foundation of the drums compared with the fragility of the treble from the delicate cymbals taps during the drum solo. I then turned to Eric Bibb and Meeting the Building, played via a DSD 64 file. For the price, the Atom provided a clear and open soundstage to allow the many performers a place and room to manoeuvre. So, the host of voices from Bibb’s lead vocal, gospel shouters and a gospel choir, never sounded crowded or ever suffered from midrange smearing. There was a real precision in their vocal deliveries. More, the vast array of instruments that ran beneath these vocal excerpts remain calm, clear and offered a transparency that enhanced the naturalistic and tonally accurate nature of the track. I then used Chromecast to stream the BBC’s iPlayer and, more specifically, Radio 4 to check the spoken voice abilities of the Atom. In this configuration, voices offered a slight hardening in the upper mids although nothing to cause alarm while accompanying bass frequencies were not only welcome but provided a rich layer to the broadcast. Playing krautrock legends Can’s Cannonball Noodle from Delay 1968, through Spotify, the Atom offered a fun time of avant beats and exploratory rhythms. The relatively low res stream obviously lost a certain degree of detail but the music remained musical and feet were duly tapped, in any case. That is, the Atom put together an agreeable and entertaining broadcast. Arguably, the most sonically balanced output from the Atom occurred when I hooked up a turntable, which I did via a phono amplifier and played Ian Dury’s Inbetweenies from the Do It Yourself album. 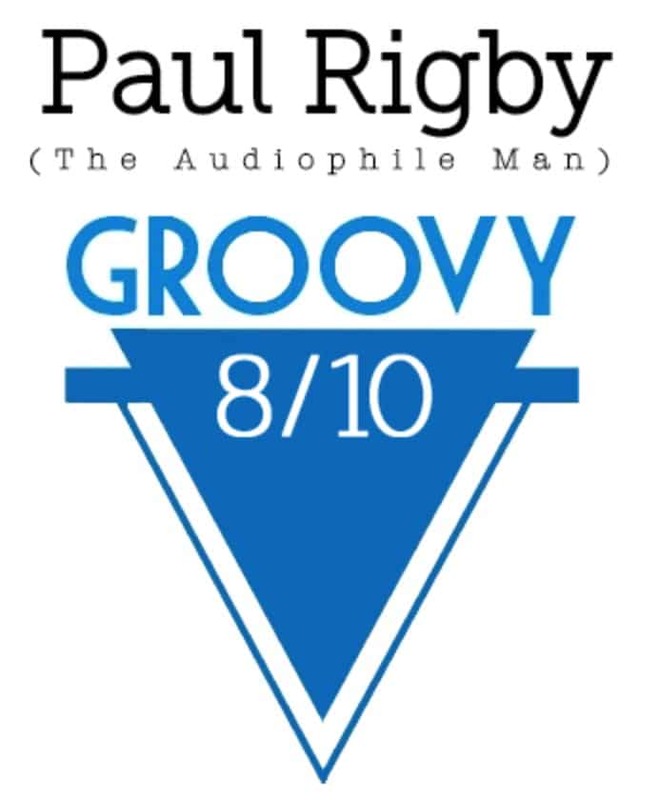 Midrange was super smooth with both vocal and organ/piano flowing with great ease while percussion and guitar was positively lavish in its ability to convey an organic bass response. The low noise response provided an easy and incisive method of accessing subtle details. If you enjoy a precise solid state sound, a harder hitting output that combines space and breadth of soundstage with focus and discipline and a bass impact that extracts all the detail you’ll ever need, then run and buy this box now. Brilliantly packaged with an easy to use suite of interface options, the Atom deserves to do well and will serve (pun intended) anyone looking for an all-in-one system with years of efficient service. Very nice review. I find it very ironic you have the best sound with the turntable. But i understand it completely. Not only because it is your preferred way of listening. But i also feel i will have to go back to analogue. My current setup is just as you described it with the atom. Clean, crisp, fast, detailed. And a lot of times i really enjoy it. But i often have the feeling i’m missing something. Not with pop and electronic music. Thanks for your thought, Geoff – well, hi-fi is such a personal thing. Yes, I found the analogue output the best of the bunch, the rest leans towards a solid state sound but that’s great for many users and I recognise that. I can hear a lot of good things in that approach too. The Atom does a lot of things very well indeed and, for many people, will be the only hi-fi system they will ever need. Thanks for your question, Andy. You’re right, I’d probably go for the Moon if faced with a choice between the two. I enjoyed the sonic balance of the Moon. I purchased the Atom…& paired it with Spendor A1s (walnut finish); I’ll be selling all of my other desk top PC/audio gear—I no longer hear a reason to keep it (sub woofer included). The Atom/A1 pairing is all one needs. Good stuff, Kevin – glad you’ve found what you needed. Thanks for you thoughts, Cobwatch. Appreciate it. Quite right too, Artimus – thanks for the pointer. I found one, now corrected, did I miss any others? Thanks for the kind words, incidentally. Hi and thanks for a nicely written review! Could you please let me know which turntable and phono stage did you use while auditioning? I’m considering an upgrade to my setup and was thinking about Naim and a turntable combo. Hi Mr Shoo – thanks for your kind words and sure. All you need to do, in these cases, is scroll to the bottom to see what reference hardware I used for the review. That’s where you’ll find the turntable. That said, the Atom works with others successfully too over varying price points.